HURST, Texas — A woman in Texas is facing an attempted capital murder charge for allegedly giving birth at her place of employment and then placing her newborn son in a garbage bag and leaving him in the dumpster. 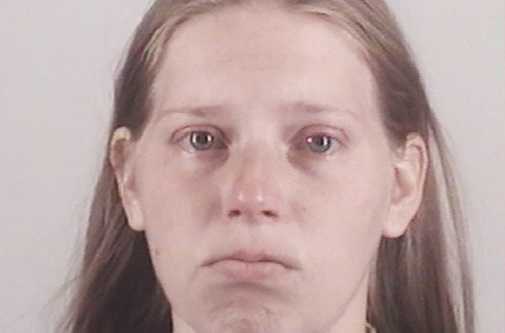 Alyssa Baker, 28, is accused of leaving her baby for dead on the morning of June 15. According to reports, Baker used the restroom at Souper Salad several times during her shift that morning, complaining of stomach pain. When her supervisor went to check on her, Baker said that she was fine but needed scissors. She emerged from the restroom minutes later with bloody scissors and obtained a garbage bag from the kitchen. Concerned, her co-worker called 911 to report that she believed Baker had a miscarriage. “[The 911 dispatcher] asked [the Souper Salad supervisor] why she thought that Baker had a miscarriage. [The supervisor] said because there is blood all over the toilet seat and she carried a trash bag out to the dumpster and it looked heavy,” a police affidavit outlines. The officer then directed others to check the dumpster behind Souper Salad, and the newborn male was found alive and crying inside of a garbage bag placed in the receptacle. He was transported to Cook Children’s Hospital in Fort Worth to receive medical attention, and was estimated at being 31 weeks gestation. When Baker was questioned, according to the Star-Telegram, she told police that she did not know that she was pregnant and that when she went to use the restroom, “the baby just fell out.” However, cellphone records showed that she had recently conducted 50 internet searches surrounding the issues of pregnancy, “natural home remedies for abortion,” abortion pills, miscarriage and paternity testing. She also allegedly admitted to the lead detective that she placed the newborn in a garbage bag and took it to the dumpster. Baker was then asked if the baby was breathing at the time she did so, and at first she said no, claiming that the child was not moving or crying, but later said that she couldn’t say for sure, according to the affidavit. “[The detective] asked if the baby could have been alive when she put him in a dumpster. She said yes. [The detective] asked her why she put the baby in the dumpster then. She said she was scared and did not expect the ambulance to get there so quickly,” it reads.